Consumers considering to go solar and don’t know where to start can now use the Interstate Renewable Energy Council (IREC) consumer solar checklist. This checklist is targeted for residential solar consumers. It is a great tool and is downloadable as a PDF and would be a great starting point to let you know what information, questions, considerations as well as protective measures to consider before entering into a contract to install a solar system. Finding out your local utility’s policies of integrating and connecting solar. You can learn more about the above concepts by viewing the IREC checklist HERE. If you are just getting started, this consumer solar checklist would work well together will online solar tools reviewed HERE to help you tackle concepts 1 & 4 above. For instance, getting the most from your investment is basically dealing with preliminary questions that will guide you to ensure you make the most out of your solar installation. 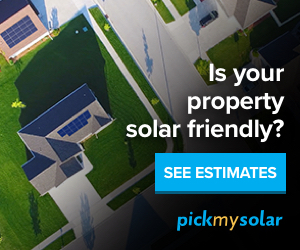 It is about knowing your specific solar energy potential by figuring out whether your roof is suitable for solar energy? Is your roof shaded by trees and so on? Also it is about making solar comparisons with regards to solar installer offers in your area. Also various financing options are presented to you based on your specific situation and you may want to know whether you should lease or buy solar. One of the tools that is able is to help you compare solar quotes and determine your solar energy potential is EnergySage. You can start using this tool HERE and is free to register. You can also access other online solar tools HERE that can also help you to answer questions such as how many solar panels you need? Are solar panels worth it? or other preliminary solar questions.